Among the main causes of blindness, cataract is 55 percent, myopia or hypermetropia 19 percent, glaucoma 4 percent, corneal blindness 7 percent and rest are 15 percent. 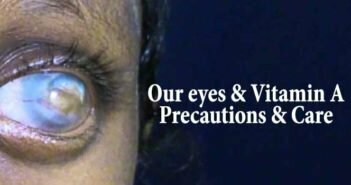 Cataract is a very common disease all over the world and causes blurred or dimmed vision, and it is the main reason of blindness in our country. It may occurs at older age. Sometimes the lens becomes cloudy or opaque and light is unable to enter eyes and patients face blurred or dimmed vision. In some cases there could be double vision or no vision at all. In old age, eye injury, inflammation, diabetes and use of steroid for long period are the main causes of cataract. 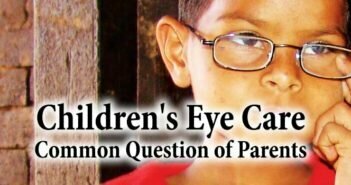 If the woman is affected at the time of pregnancy, the child may have cataract right from the birth. Age-related cataracts. As the name suggests, this type of cataract develops as a result of ageing. Cigarette smoke, air pollution, and heavy alcohol consumption can also increase risk of developing cataracts. The severity of cataract formation, assuming that no other eye disease is present, is judged primarily by visual acuity test. The appropriateness of surgery depends on a patient’s particular functional and visual needs and other risk factors, all of which may vary widely. Blurry, cloudy, or misty vision. Some describe it as similar to looking through frosted glass. Vision may be affected by small spots or dots. The patient sees small patches which blur parts of his/her field of vision. Vision gets worse when lights are dim. Vision is sometimes worse when light is very bright (glare). Some people with cataracts also comment that colors appear less clear and faded. Reading becomes very difficult, and eventually impossible. Glasses need to be changed more frequently. Eventually wearing glasses becomes less effective. l In some rare cases patients can see a halo around bright objects, such as car headlights or street lights. l Double vision in one eye (rare). The procedure of formation of cataract cannot be stopped, but can be cured by operation in time. The treatment of cataract is possible only by operation. 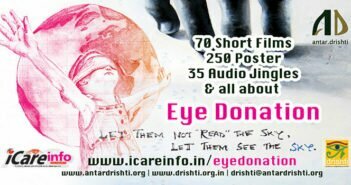 No medicine can cure cataract, nor can reduce the formation of cataract in eye. In cataract the normal vision can be brought back by removing the dimmed lens through surgery and placing intra ocular lens. Cataract surgery is very simple. Cataract removal can be performed at any stage and no longer requires ripening of the lens. Surgery is usually ‘outpatient’ and performed using local anesthesia. Approximately 90% of patients can achieve a corrected vision of 20/40 or better after surgery. Phacoemulsification is the most widely used cataract surgery today. This procedure uses ultrasonic energy (U/S) to emulsify the cataract lens. Extracapsular cataract extraction (ECCE), consists of removing the lens manually, but leaving the majority of the capsule intact. The lens is expressed through a 10–12 mm incision which is closed with sutures at the end of surgery.